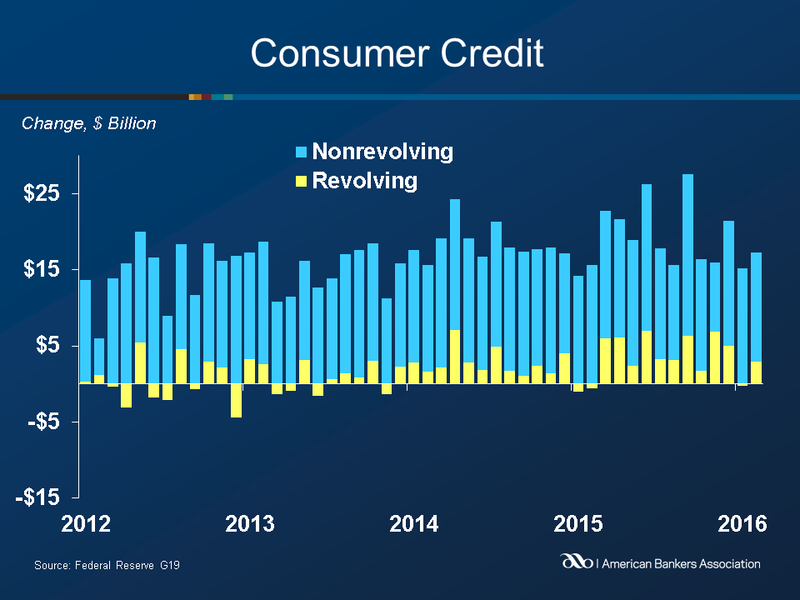 Consumer Credit increased at a seasonally adjusted annual rate of 5.8 percent in February, rising $17.2 billion (compared to $14.9 billion in January) to $3.57 trillion. Revolving credit rose at an annual rate of 3.7 percent ($2.9 billion) to $940.6 billion, compared to a 0.3 percent decrease in January. Non-revolving credit increased at an annual rate of 6.6 percent, or $14.3 billion, compared to January’s increase of 7.0 percent. 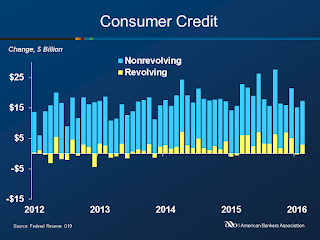 Total outstanding non-revolving credit now stands at $2.63 trillion.